(AP) LONDON - European stocks gave up some of their recent gains Wednesday after more disappointing economic data reinforced fears over Europe's economy in the run-up to key central bank policy statements. With trading subdued because the U.S. is on holiday for Independence Day, investors in Europe have had little incentive to push stocks higher following a three-day rally. Markets have largely welcomed last Friday's agreement by the leaders of the 17 euro countries to allow Europe's bailout fund to capitalize banks directly and to buy bonds of imperiled countries. Stocks, particularly in Europe, have rallied hard, as have the euro and oil prices. However, with the eurozone economy showing signs of heading back into recession, the crisis has the potential to flare up again. Mounting concerns over the state of the U.S. economic recovery are also keeping sentiment in check, especially ahead of Friday's closely-watched nonfarm payrolls report for June. The payrolls data often set the market tone for a week or two after their release. Before the payrolls data, the European Central Bank is expected on Thursday to reduce its main borrowing rate below 1 percent for the first time ever in an attempt to shore up the eurozone economy. A services sector survey Wednesday from financial information company Markit added to the prevailing view that the eurozone is heading back for recession. The Bank of England is also expected to do more to help the British economy, which is already in recession, at its meeting on Thursday. The consensus view is that it will pump another 50 billion pounds into the economy. "There is plenty of scope for disappointment given the high expectations, so traders will be cautious ahead of the meetings, and also as we approach non-farm payrolls," said David Morrison, senior market strategist at GFT Markets. In Europe, the FTSE 100 index of leading British shares was down 0.3 percent at 5,673 while Germany's DAX fell 0.5 percent to 6,547. The CAC-40 in France was 0.4 percent lower at 3,258. The euro was down 0.2 percent at $1.2583, while oil prices gave up some ground amid the softer tone in Europe benchmark oil for August delivery was down 35 cents at $87.31 a barrel in electronic trading on the New York Mercantile Exchange. Earlier in Asia, stocks ended mostly higher. Japan's Nikkei 225 index rose 0.4 percent to 9,104.17 and South Korea's Kospi gained 0.4 percent to 1,874.45. 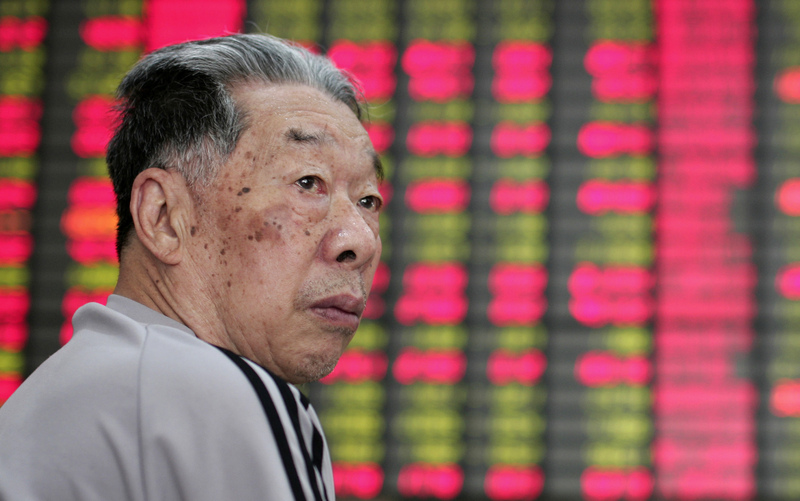 China's Shanghai Composite fell 0.1 percent to 2,227.31 and Hong Kong's Hang Seng was down 0.1 percent at 19,709.75.